Having had a few introductions to vegan food here and there, I had only really tried vegan lunches & snacks, and not many desserts. When I think of baking, I picture the classic essentials: eggs, butter, sugar, flour... But when I think of vegan baking, it raises a few questions. What could you use instead of eggs to give your cakes that perfect texture? 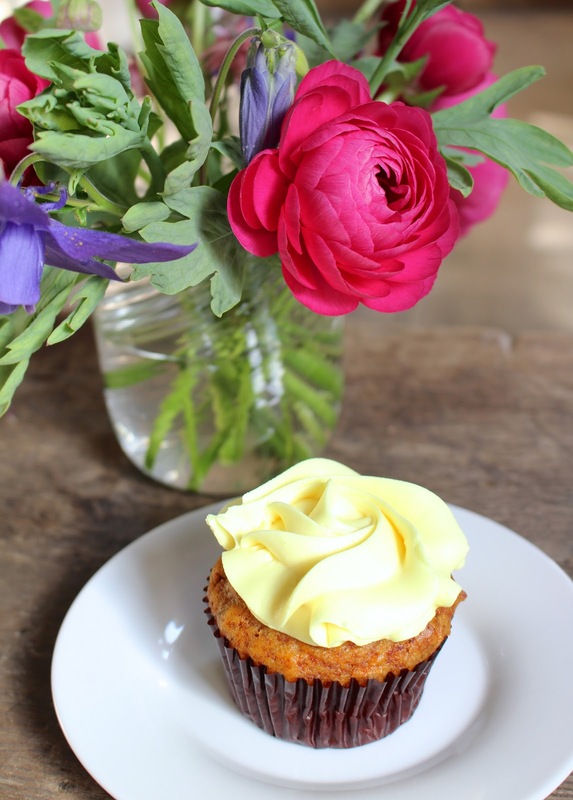 How can you make cupcake frosting without butter? A few weeks ago, I tried some of the tastiest cakes ever from Babette Bakery, and I could barely believe they were completely vegan. So I gathered all my questions and asked the baker herself, Federica, about her vegan lifestyle and the lovely vegan cakes she makes! Can you tell me a little bit about your vegan lifestyle? What inspired you to start a vegan bakery? When I became vegan the people closest to me thought I was totally crazy. My grandparents thought I had entered some sect and would just be eating tofu and grass for the rest of my life. So, to prove them wrong I started baking a lot. Vegan baked goods are totally amazing because they are decadent and light at the same time. I started bringing cupcakes and muffins to family gatherings and everyone loved them! I am very hard headed so I just love proving people wrong and making them admit that vegan food can be totally amazing. I figured that it would be the most efficient way to have people think a little more about what they are eating without missing out on anything. Every vegan cake I sell spares some animal suffering. A lot of my clients aren’t even vegan in the beginning but over time they slowly make the change as they feel much better eating this way. I think it affects you both health-wise and moral-wise. What are your favourite vegan places? My favourite restaurant ever is Pure Food and Wine in NYC. That place is amazing. It is an all-raw restaurant and most of the time I am blown away with what I eat there. They are so inventive and absolutely amazing. I have had some of the best desserts of my life there. All raw! You would never guess it. That one is definitely going on my to-do list! What kind of plant-based ingredients do you use to replace typical baking ingredients such as butter and eggs? For ‘normal’ vegan baking this is very simple. The butter is used in most cakes as a fat. When baking a cake you replace that fat with coconut oil. Olive oil also works for chocolate cakes, or very flavorful cakes where you won’t taste it. In terms of the eggs they do two things in baking; one is bind everything together, the other is act as the raising agent. For vegan baking these have to be seen separately. For the binding I like to use applesauce, or soaked chia seeds. I have recently been experimenting with the new amazing aquafaba discovery, which is the foam you get when you mix the cooking liquid of beans. You can also make meringues with this! For the leavening I use a mix of baking powder and baking soda. A careful balance has to be used in order to achieve the desired fluffiness without altering the taste. For gluten free vegan cakes, that’s an entire other story! What's your favourite thing to bake/eat? Funny enough, a lot of things I enjoy baking and eating now as a vegan I never ate as a non-vegan! I like desserts to be light, which is very easy with vegan ones. I never used to eat cupcakes, and now I love them. I love how the bakery has pushed me to veganize some classic favorites like the black forest cake, that I had never even eaten before! It is always a great challenge to manage to execute a perfect vegan cake that makes my clients have the full experience they remember from their childhood or special vacation/memory. That way, they can be happy and healthier, and the animals too. Still, my favourite treat is a light and fluffy teacake, such as the orange and chocolate one we make at the bakery. Thank you Federica for answering my questions! I think that a vegan lifestyle is really interesting, and I would like to try eating only vegan for a month, just out of curiosity. I already know that I wouldn't be missing my favourite sweets knowing that vegan cakes taste just as good (secretly even better) than the "real deal". In case you live near Luxembourg, Babette Bakery is definitely one to check out. And for the rest of us.. let's hope Federica will bring out a cookbook one day!